Come take a journey back in time and see Louisiana's beautiful plantations. Over the years, these plantations inspired many people to write books,screenplays and feature them in movies. We pick up at all hotels in the Uptown, Downtown and French Quarter areas. If you are staying outside of this area, call to set up a pick up location. Seating is limited so reserve your tour. After being picked up at your hotel you will be taken on about an hour ride to some of the great River Road sugar plantations. 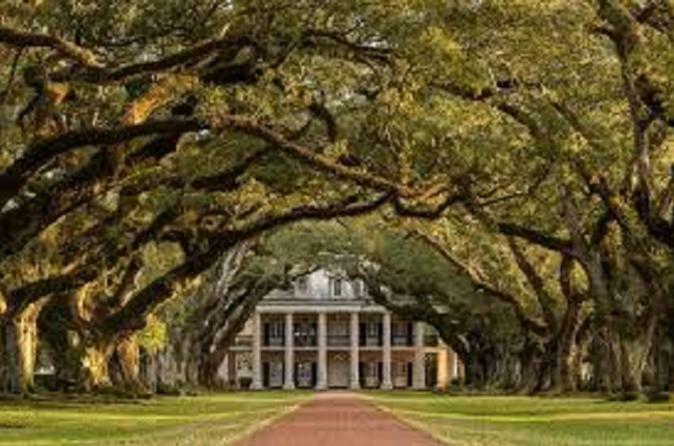 You have a choice to take the historic tour of Laura Plantation, a creole plantation which some consider the best historic plantation in the region, or you can travel further down river to Oak Alley Plantation and stroll under 300 year old oak trees and take the 40 minute guided tour. You will view unique architecture, vibrant gardens and sugar cane fields while learning the history from your expert guide. This includes admission to plantation and round trip transportation.